“Aharai!” runs preparatory courses for significant service in IDF for Israeli youth from the Israeli Ethiopian community for the three years preceding army enlistment, as well as during their military service and after their release from the IDF. Most of the immigrants from Ethiopia arrived in Israel in 1984 and 1991, bringing the total number of Ethiopian immigrants in Israel to over 141,000, which is 3% of the Israeli population. Immigrants continue to arrive in Israel in recent years as well. The absorption of members of the Ethiopian community in Israel was far from perfect. Although 34 years have passed since the arrival of the first planes from Sudan to Israel, many Ethiopian Israelis still experience difficulties in integrating into Israeli society. This difficulty is especially felt when it comes to army enlistment. Even though there exists high motivation to contribute and serve (88% recruitment, a higher percentage than the overall average of 82%), there are high percentages of service impairments and dropout (40% imprisonment, 25% dropout). The purpose of the various “Aharai!” programs is to create a sense of success and ability among the youth, while actively familiarizing them with the heritage of the glorious Ethiopian Jewry and strengthening the multicultural Zionist narrative. Throughout the year, members of the Ethiopian community deliver content and teach about the great Ethiopian heritage, tell the story of their immigration to Israel and commemorate the 4,000 heroes of Ethiopian Jewry who perished on their way to Israel in the deserts and refugee camps in Sudan. The overall activity is heterogeneous and integrates different populations. Every year 1,200 Ethiopian students participate in “Aharai!” programs. According to a survey carried out in 2017, 95% of graduates of the Ethiopian community complete full military service and 86% attest to significant military service. Key partners: Leumi Bank, Ministry of Education – Society and Youth Administration, Friendship Fund, Bader Fund, Ministry of Immigrant Absorption. The central idea of ​​”Aharai!” is to instill in youth a sense of success and ability with the belief that each and every one of us has the potential to lead a normal life, to become an equal citizen of this country, regardless of where he or she was born and where he or she grew up. Every person in Israel will be responsible for his or her future and the future of their community. Israeli society will be a democratic, pluralistic and peace-loving society. Increasing youths’ preparedness and readiness for full and meaningful service in the IDF. Educating youth for active citizenship and social involvement. Raising awareness of democracy and fostering tolerance, Zionism and love for the land. Navigating at-risk youth to the path of success. Training young leadership, particularly among the at-risk population. P.E.F. Endowment Funds Inc. PEF, 630 Third Avenue, New York, NY 10017. Checks should be made payable to the P.E.F. Endowment Fund. You are requested to attach a letter which informs the P.E.F. that your donation is to be transferred to “Aharai!” (N.G.O. no. 580336659) 7 Avital Street Tel Aviv, 67635 Israel. Inbar began her involvement as a counselor for an “Aharai!” volunteer-year group in Jerusalem. Following that, she was promoted to several positions, until her appointment as CEO of “Aharai!” in 2014. Inbar is a mother of three, and she has a degree in psychology and a master’s degree in public policy. First group counselor, board of directors’ member. 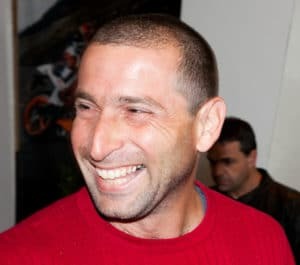 Ofer was the first counselor of “Aharai!”; he was recruited for the mission after significant military service in Sayeret Matkal and the Magellan Unit. Ofer founded “Ahari!” and served as its first CEO. He continues to volunteer for “Aharai!” as a member of the Board of Directors. During military service, especially the first months, the soldiers experience numerous difficulties resulting from the initial encounter with military discipline, a crowded and demanding schedule, new social encounters, life risk, and many other challenges. Most of the new soldiers rely on reinforcement and support from home. For our “at-risk” soldiers, the family home front is not a source of support for army service, and unfortunately, in many cases, the family tempts the soldier to return home for economic reasons and due to a lack of understanding, they do not grasp how important success during military service really is. The soldier often faces a clash between his values ​​and the strong desire to serve the homeland. Turning his back on his home and neighborhood makes it difficult for the soldier. IDF deals each year with thousands of soldiers who are unable to integrate properly into the military force and they end up in military prison, absenteeism, desertions, and dropout. According to the Ministry of Welfare, it is estimated that 15% of all IDF soldiers come from difficult backgrounds, due to low socioeconomic situation: immigrant families; out-of-home systems; or juvenile delinquence. Preparing these youth for military service, as good as it may be, is often simply not enough for these soldiers. “Aharai!”s Guidance for Soldiers Program provides intensive support and guidance for soldiers from populations which do not reach their recruitment potential. Guidance coordinators of “Aharai!” are supporting these soldiers in moments of crisis and anger, in moments of success, for ceremonies and other significant decision-making moments. The professional program staff must have high emotional intelligence so they can enable “Aharai!” graduates who need help integrating into the military system and to experience success while encouraging them to achieve command positions and personal growth. Thus, the Guidance for Soldiers Program helps the young soldiers have a better starting point in the military followed by becoming contributing citizens after their release from the army. The “Aharai Spark in the City!” Program also assists youth and soldiers from the “at-risk” population. The program is has three stages: It pinpoints youth and young adults at risk who are unable to adapt to the military system. This often leads to service impairments such as defections, absenteeism, imprisonment, dropout and sometimes suicide attempts. Many of these young people are clients of the various welfare offices. In addition, after discharge from the IDF, often their transitioning into civilian life can be tasking and more complex than usual. Therefore, in order to successfully integrate them into the fabric of our society, it is necessary to construct a personalized plan for their future, which requires proper mediation and assistance. Key partners: Leumi Bank, Ministry of Social Affairs. 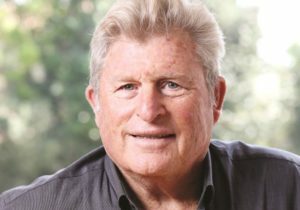 The late Dov Lautman (1936-2013), industrialist, businessman, social activist and founder of “Aharai!” He was also the founder, owner and chairman of the “Delta Galil” textile factory, as well as the president of the Manufacturers Association of Israel. 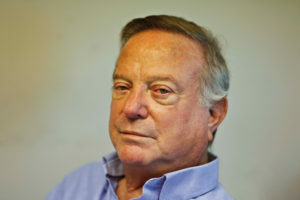 Lautman was an Israel Prize laureate and was among the founders of “Dor Shalom – The Peace Generation” as well as the winner of the Presidential Volunteer Award. Aharai!’s achievements are a direct result of Dov Lautman’s actions and decisions. 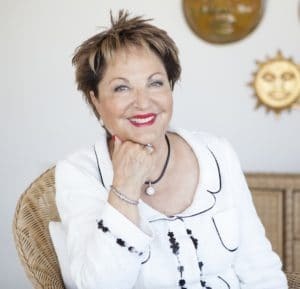 Rakefet Rossak Aminah, Leumi Bank CEO, Chairwoman and founder of the “Aharai!” Friends Association. 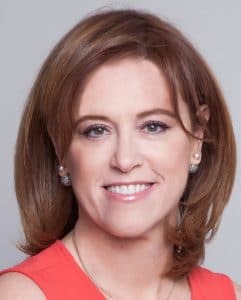 She is the Leumi Bank CEO since 2012 and for the last 2 years she was named by “Forbes Magazine” as one of the world’s 100 most influential businesswomen. During her time as the bank’s CEO, she led the expansion of “Aharai!s’ activity as well as the support for the population in the periphery. The cooperation with Leumi Bank has deepened, with about 1,000 employees volunteering for “Aharai!” in a variety of projects while assisting the professional and personal development of “Aharai!’s” managers. Colonel (Res. )Yoram (Yaya) Yair – Chairman of the Board of Directors. Yoram (Yaa)Yair has served in the IDF for decades and reached the position of Head of Human Resource Command. Today he is a public figure and serves as the chairman of “Together for the Soldier”, heads the Rabin Program for Leadership at the Lauder School of Government, Diplomacy and Strategy at IDC, as well as “Aharai!”Chairman of the Board of Directors. Colonel (res.) Yair has been accompanying “Aharai!” from the time of its establishment and since 2013, he has served as Chairman of the Board of Directors. Since 2016, “Aharai!” operates the ISREAL program: an educational-experiential program designed for youth, young adults and families who live outside of Israel or who have recently immigrated. The goal of the program is to provide positive exposure to the State of Israel and the Israeli society. Young Jewish men and women, who live outside of Israel, face many questions about the meaning of their Jewishness as well as their parents’ connection to the State of Israel. They receive information about what is happening in Israel from various sources, some of which are biased. These young people are thirsty for an authentic encounter with young Israelis and the Israeli experience. ISREAL offers a variety of workshops and field activities tailored to the needs of young people from abroad. Thanks to the experience and the spirit of the “Aharai!”, the participants have a genuine encounter with young Israelis and are provided with coping tools for meeting challenges, as well as managing and developing leadership. The activity is guided by “Aharai!” members who have background in training and working with the target audience. ISREAL is one of the highlights of the visit to Israel and continues to accompany the participants long after they return home. Key partners: Leumi Bank, Mahalach fund. “Aharai!” with Faith is the first program of its kind. It reaches out to orthodox youth who were unable to integrate into a yeshiva track of study. The goal of the program is to help the trainees shape their present as well as their future, while maintaining their position in the orthodox community. According to the annual publication “Children in Israel”, each year 7,333 young students, from grades 7th to 12th, leave the orthodox education system and are not enrolled in an alternative program. This number represents 8% of all student population, from grades 7-12 in orthodox schools, compared to only 2% of the students dropping out of the secular and other religious sectors education systems. Estimates indicate that the phenomenon of dropout in the orthodox sector is even higher than the above figures and despite the huge effort made by the orthodox authorities and institutions, there is a yearly increase in the number of orthodox youth who drop out of school. 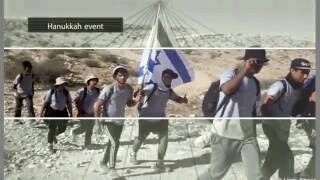 “Aharai!” with Faith is the orthodox branch of “Aharai!” with 500 dropout orthodox students participating in the activities. Their profile can be described as youth with a shattered self-image, as a result of multiple failures and disappointments from parents and teachers in the yeshiva track. The educational and therapeutic model developed by “Aharai!” includes two parts – physical training and conversation with peers. Physical training is used as a means of transmitting educational messages, such as dealing with difficulty, the importance of perseverance, reliability and more. The training provides a new opportunity for success for students who have, until now, perceived themselves as a failure. Conversations with friends in a happy and supportive atmosphere, at the end of the physical training session, conveys to the students an invitation to open their hearts while peeling layers of cynicism and strengthening respect for each other. The vast majority of students remain orthodox at the end of the year, since the project is meticulous in its activity and observance of the Jewish commandments. With that in mind, alongside Torah study, the students integrate into the Israeli society via other paths as well – military service, work, higher education, etc. Key Partners: Leumi Bank, The Security and Social Division of the Ministry of Defense, the Jerusalem Education Administration, City without Violence. During the 20 years of activity, “Aharai!” has created a meaningful educational process for tens of thousands of boys and girls from all sectors and populations in Israel. Tens of thousands of the organization’s graduates are now independent citizens of the State of Israel. 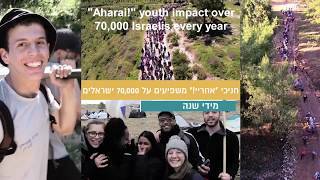 Since 2005, “Aharai!” has operated its youth movement with the vision of helping young men and women integrate into Israeli society in the fields of employment, education and social involvement. “Aharai!” provides guidance and counselling to graduates of all educational programs for young adults aged 20-25 in order to encourage the realization of the personal and civic potential as each of them take their first steps as a civilian. The graduate centers encourage each participant to receive personal guidance and help build a personalized work plan tailored to their needs and wishes, while offering continuing guidance. The work plans relate to employment, education and social involvement, while including professional and informative content. Motivational and emotional guidance are included. In the social involvement sphere, the organization enables its members to continue to act as individuals as well as a group, even after they have completed their activities as youth members in the organization, while contributing to the community and strengthening the geographic and social periphery in Israel. Thus “Aharai!” creates a young leading force in the periphery which also promotes ongoing projects to empower the neighborhoods and to generate positive change. This program assists in placing young people holding positive values ​​and various talents back into the communities in which they grew up. They are a valuable human resource who can make a difference in narrowing the gaps that exist in Israel. Key Partners: Leumi Bank, Ministry of Social Affairs, Gandyr Foundation. Since 2005, “Aharai!” has operated a preparatory program for meaningful army service all over the country. They primarily serve the dozens of boarding schools and youth villages in Israel which provide solutions for new and old immigrant youth from the social and geographical periphery. Most of them are high-risk, ages 14-18, who live and study in boarding schools while trying to build a better future for themselves–one they would not be able to build living at home. “Aharai!” operates programs in boarding schools and youth villages in the belief that significant service in the IDF is an important steppingstone towards success in civilian life. There are 3,000 young people, aged 15-18 in Israel residing in Youth Protection Centers under court order, as an alternative to incarceration. The centers are authoritative, out-of-home treatment facilities for Israeli adolescence, at various levels of delinquency. “Aharai!” in Youth Protection Centers and boarding schools gives many young men and women the sense of competence which they so lack. They learn to understand that despite the circumstances of their lives, they can become contributing and even influential citizens. Many of the students in the out-of-home programs become leading participants in “Aharai!” and over 30% of them complete a significant year of activity in the pre-military preparatory programs and in the service year of “Aharai!”. Since 2007, “Aharai!” has been operating in the Druze and Bedouin communities in northern Israel. As of 2016, “Aharai!” has expanded and includes Bedouin towns in the south as well as Muslim and Christian villages and cities. During those years “Aharai!” managed to reach over 2,000 youth from Arab-speaking populations who have undergone a significant educational process. They have taken a significant step towards their transformation into feeling a sense of belonging as well as becoming contributing citizens to the Israeli society. “Aharai!” has become active in these sectors in order to realize it’s organizational vision: to enable every Israeli boy and girl an equal opportunity to become contributing citizens and to shape their future as they wish. Language and cultural differences, geographical distance and more, have created large gaps in relation to the Arabic-speaking population in Israel. The depth of these gaps is best illustrated by the fact that only 11% of Arab-speaking young adults earn a BA, compared with 46% in the general population. The percentage of school dropouts (36%) and the percentage of those involved in criminal activity (66% of the Bedouin youth in the south) prove that there is still much work ahead. As of 2017, “Aharai!” is operating in around 40 minority communities, with more than 1,000 participants. There are three main programs: “Aharai! to the IDF”, “Aharai! In the Field” and the preparatory program for matriculation. In addition, “Aharai!” is operating two uniquely integrated pre-military frameworks in cooperation with the Jewish Agency—one for Jewish-Druze and the other for Jewish-Arab Christians. “Aharai’s! activities are tailored to the personal and cultural needs of the groups in the minority communities: All the counselors are local, all are native speakers of Hebrew and Arabic, there are specially trained coordinators who work with these groups, and field events also take into consideration the different religious holidays and celebrations. At a time of negative winds blowing in some areas, “Aharai!” activities constitutes a positive, empowering, connecting, and ethical alternative for these young people, all on a path to an equal and just Israeli society. Key partners: The Social Security Department of the Ministry of Defense, Bank Leumi, the Ministry of Social Equality, the Ministry of Agriculture and the Jewish Agency. In 2017, over 40% of the participants in the various “Aharai!” programs are female! They are group leaders in the fields of training, leadership and physical fitness and smash new glass ceilings every year. Today, over 35% of IDF female combat soldiers were participants in the “Aharai!”” program before they were recruited. In addition to integrating the female students into the various educational projects in “Aharai!”, 8 years ago a new and unique program was established – “Aharaich”. This project was established in order to gather a small number of young girls before their enlistment in the IDF. They would face a number of encounters and challenging field courses while being prepared for the Malsabiyot for command and combat positions. This creates a women’s leadership group that enhances the unique feminine characteristics and encourages the girls to take responsibility, lead in service and other areas of life. The training team assists the girls in passing the various tests in order to be assigned to significant posts and at the end of the program, the students are recruited to serve as commanders in the Magal unit or as combat soldiers in various other units. The Human Resource Command of the IDF’s survey found that 18% of “Aharai!” trainees reach command and officer positions compared to 9% of the general population. Concluding 20 years in "Aharai!" Every child in Israel will have the most tools to design a future for himself. Every person in Israel will be responsible for his future and the future of his community. Israeli society will be a democratic, solidarity and peace-loving society. Increased readiness and readiness for full and meaningful service in the IDF. Youth education for active citizenship and social involvement. Raising awareness of democracy and fostering tolerance, Zionism and love of the land. Raising marginal youth on the path to success. Training young leadership, especially among the welfare population.